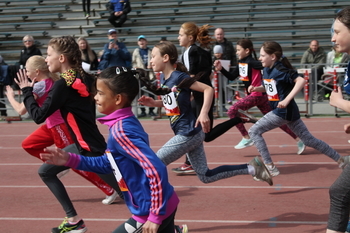 Chelyabinsk, a huge industrial city in the south of the Urals, has been one of the cornerstones of Modern Pentathlon development in Russia and now the public have embraced Laser-Run too. More than 300 people, aged from seven to 74, took part in the Global Laser-Run City Tour on June 9. The entry list included local pentathletes who are already members of the Russian national team and participants from Chelyabinsk, Samara, Ekaterinburg and Novosibirsk, as well as neighbouring countries Kazakhstan, Turkmenistan and Uzbekistan. The city of Novosibirsk will host its own Global Laser-Run City Tour in September. A spokesperson for the Local Organising Committee in Chelyabinsk said: “It was wonderful to see so many people of all ages from across the country taking part in this special festival of sport and friendship. “Our beautifully dressed venue at the central stadium in Chelyabinsk attracted a lot of spectators and coverage by a local TV station, which called Laser-Run ‘the sport of the future’.